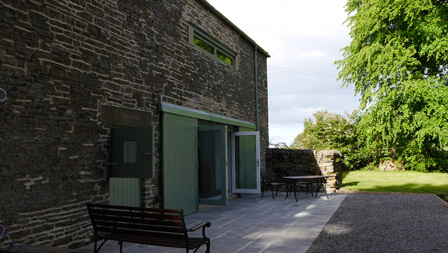 This small two bedroom holiday accommodation has been provided by converting a redundant barn which sits in the North Pennines Area of Outstanding Natural Beauty. 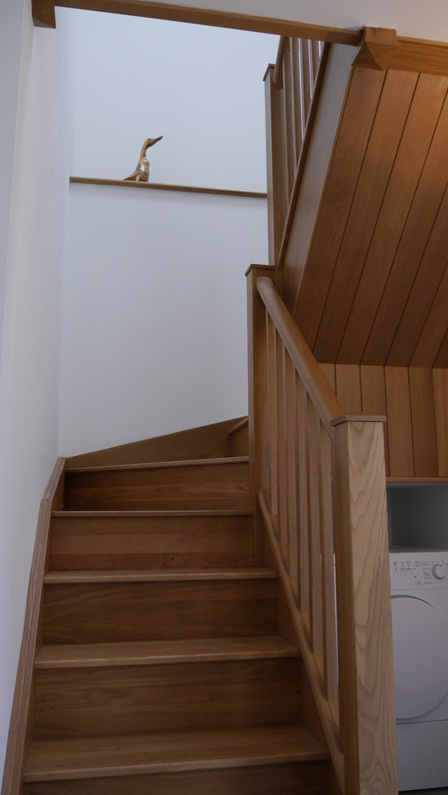 Its popularity is partly due to the wonderful views out over high rolling countryside. However, the barn had very few windows and little natural light, and therefore could not take full advantage of its location. 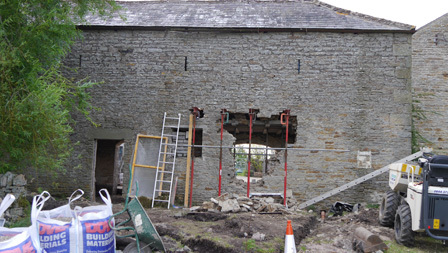 We have inserted two new openings, clearly of our time whilst still relating strongly to agricultural aesthetic, to form windows for the living area and main bedroom. The owners moved from an urban location to live the rural idyll. 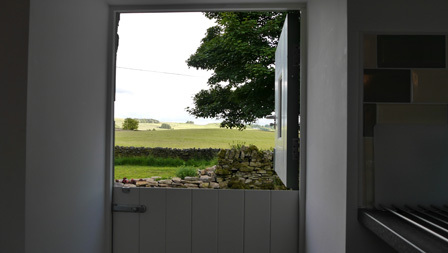 They run a small holding as well as this holiday let, and the images here come courtesy of their blog on the trials and learning experience of their new life (http://www.smallplotbigideas.co.uk).